Ford Motor Company and Azure Dynamics Corporation today announced the newest electrified commercial vehicle product on the market, the Ford Transit Connect Electric Wagon. The Wagon is a logical next step for Azure and Ford which first introduced an electrified Transit Connect in December 2010. The Wagon is considered ideal for businesses that want the flexibility to move either cargo and/or passengers with the efficiencies offered by the electric powertrain. The Wagon is especially well-suited to campus settings like those found at universities, military bases, health care facilities, airports and private businesses where frequent short-range routes are commonly traveled. Like its cargo van sibling, the Transit Connect Electric Wagon qualifies for the $7,500 federal incentive in the United States. 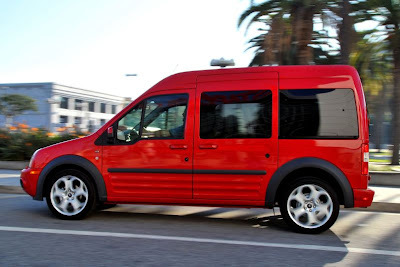 In addition to federal incentives, fleet owners in California can receive an additional $15,000 incentive from the California Air Resources Board (CARB) for the first Transit Connect Electric van or wagon purchased for deployment in California. Subsequent purchases of Transit Connect Electric vans or wagons will qualify for an incentive of up to $12,000, with a maximum of 100 vans per customer. Since its introduction in December 2010, more than 450 Transit Connect Electric vans have been purchased by many hard working commercial vehicle fleets including AT&T, Canada Post, DHL, FedEx Express, and Post Norway to name a few. Other early adopters of Transit Connect Electric include energy providers and private businesses seeking to better understand and utilize the benefits associated with electrified transportation. 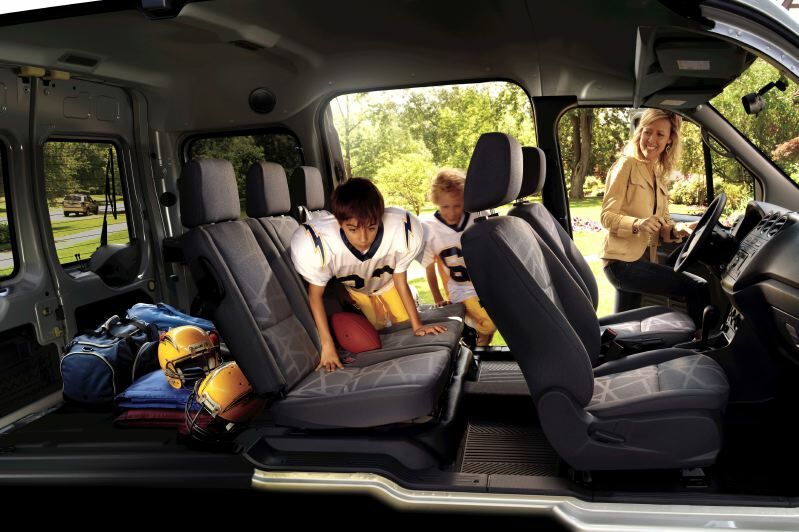 To create the Transit Connect Electric Wagon, Azure integrates its proven Force DriveTM electric powertrain into the award-winning Ford Transit Connect XLT Premium Wagon and offers enhanced second-row passenger comfort while still providing considerable cargo space and payload capacity. Using an advanced liquid-cooled 28 kilowatt hour lithium-ion battery from Johnson Controls, Transit Connect Electric Wagon can achieve a range of 55 to 80 miles on a single charge depending on driving conditions and ancillary power usage. The Wagon has a top speed of 75 mph. 120-volt outlet, or preferably a 240-volt charging station, typically installed at the user’s base of operations for optimal recharging in six to eight hours. The vehicle’s charge port is located above the passenger-side rear wheel well in the spot typically used for conventional re-fueling. The Transit Connect Electric Wagon is built on a dedicated global van platform and offers a unique combination of car-like driving dynamics, significant cargo capacity, accessibility, and low operating costs.